From the series "Forgotten Titans"
After doing the first image, I went back to my Star Wars books (source of inspiration) and I thought it would be a great idea to complete this image showing it at night and involving Rey in a symbolic way... 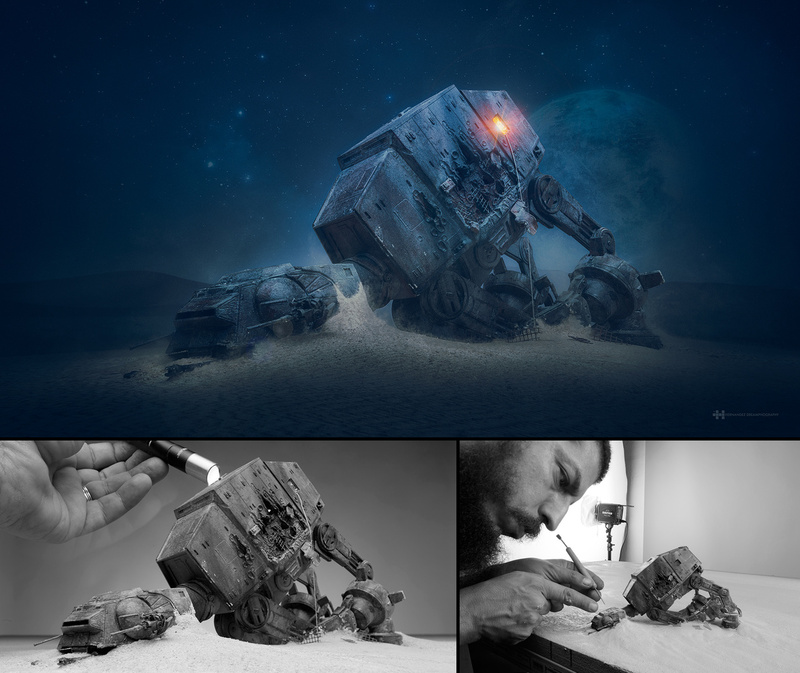 Fallen At-At it;s Rey's home in Yakku and it's becoming a classic!... For this image I only went with two studio flashes and a small led flashlight to do light painting for the rear "window"... mixing flash with a long exposure. I love your work man. So creative and so dedicated! Amazing! Thank you so much Moshe! As usual, your work is amazing! incredible to an epic level! Now THIS is amazing! Wow! The level of detail involved in creating these wonderful images is amazing. Your are indeed a very talented artist.